Information about planning, planting, pruning, picking and processing olives and olive oil! Extra Virgin Olive Oil Savantes is always looking for new and progressive activities to benefit those who have participated in Savantes programmes, and to attract more participants. An example of the innovative events generated through this philosophy are the Team Tasting Championships which have been held in an increasing number of countries. The Inaugural World Extra Virgin Olive Oil Team Tasting Championship will be held in Priego de Cordoba, Spain on 4th and 5th October 2019. Now two new events have been initiated. Both in response to regular requests from the Savantes network. Savante Varietals is a day of tasting Varietals form around the world, the classics and the new. Those taking the Savantes Review Test have consistently commented that they find it difficult to get access to varietals. Well, here is the opportunity! One of the unexpected benefits of participating in a Savantes tasting is the occasional opportunity to experience something beyond evaluating olive oil. 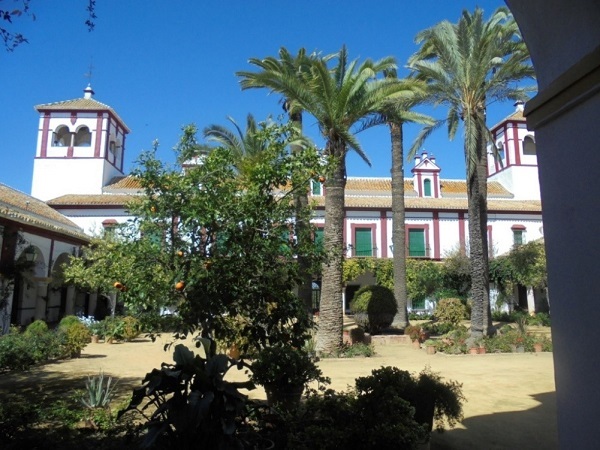 Such an opportunity arose when attendees at the Seville programme were invited to visit the Juan Ramón Guillén Foundation museum on the outskirts of the city. Our host was Juan González of Hacienda Guzmán, who participated in the Seville programme. The Foundation was founded in 2011 with the purpose of bringing the rural sector closer to the public with special emphasis on the olive sector. The centrepiece is the Hacienda Guzmán from which the brand of quality extra virgin olive oils takes its name. Six centuries ago, Hernando, the son of Christopher Columbus, produced olive oil on the estate and exported it to America. The first Spanish National Extra Virgin Olive Oil Team Tasting Championship was a resounding success. Held in Priego de Cordoba in Southern Spain the championship attracted 13 teams of 3 from all over Spain. Staged by the PDO for the region Priego de Córdoba (ASCCAL) and International Extra Virgin Olive Oil Savantes the event used the Savantes Tasting Skills Test and additional exercises to assess the tasting ability of the teams. Included in the tests were extra virgin olive oils contributed by producers from France, Italy, Greece, Spain and Portugal with the varietals including ocale, picual, arbequina, hojblanca, coratina, cobrancosa, galega, koroneiki, changlot real, manzanilla, cornicabra, l’aglandau, olivastra seggianese, tonda iblei and picuda. An important activity of Savantes is to encourage recognition and appreciation of extra virgin olive oils from all varietals and regions around the world. The Los Angeles International Extra Virgin Olive Oil Competition provides an opportunity to compare the products entered from the major producing countries and the USA. The Northern Hemisphere segment has just been completed with 516 entries. 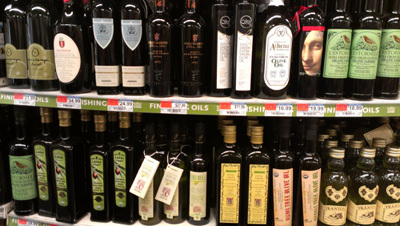 The comparative performance of olive oils from countries with over 20 entries shows that Spain outperformed all other countries with 31% of the entries being awarded gold medals. Does IOC Overstate Australian Olive Oil Consumption? Reliable data on Australian production and consumption is difficult to obtain. The International Olive Council (IOC) publishes international tables on production, consumption, exports and imports. Analysis of this data alongside that provided by the Australian Olive Association and Australia’s largest producer, Boundary Bend Limited, suggests that the IOC figures overstate Australian consumption of olive oil by up to 30% in some years. The Australian data in Table 1 extrapolated from the Boundary Bend 2013 Annual Report. The analysis shows that the IOC overstates Australian production with the result that Australian consumption is lower than generally stated by the IOC. The Australian Olive Association in its industry snapshot for 2012 states ‘Australian apparent consumption of olive oil for the period 2005 to 2012 increased by 16% to 51,7108 tonnes’, clearly a gross overstatement by approximately 37%. Read more: Does IOC Overstate Australian Olive Oil Consumption?